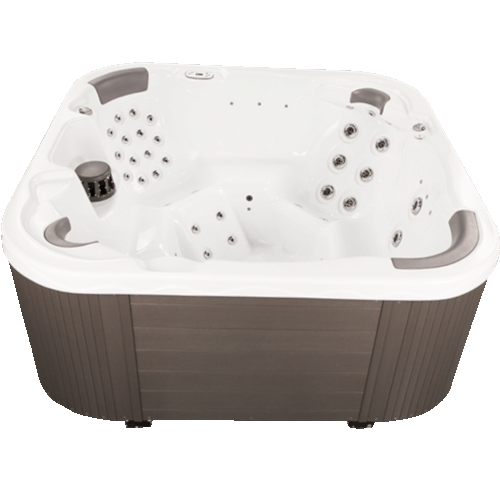 The B1 is designed with relaxation together with a hint of good old fashioned romance. 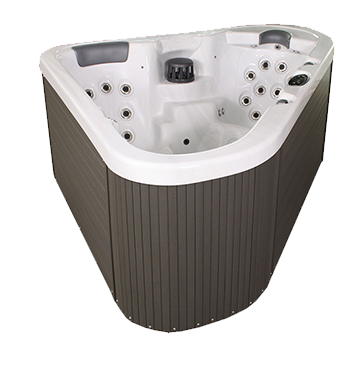 Designed to caress a couple in the luxurious warmth of a hydrotherapy spa. 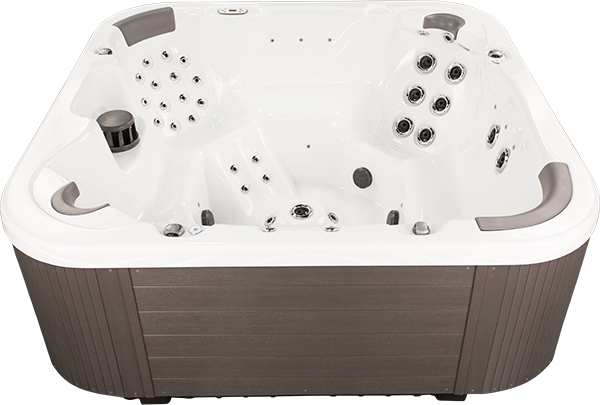 Let the 18 ExoJet’s bathe you in the tantalizing experience of total therapy. 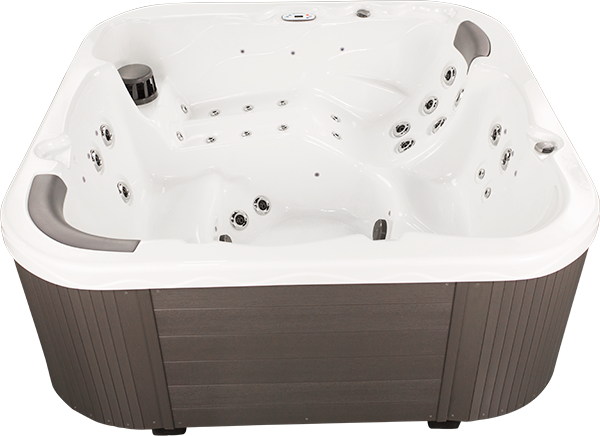 The B7 is the perfect party spa with seating for six. Escape with family and friends to the dynamic hydro-therapy of this amazing spa. The B5 embodies a unique combination of features. With it’s versatility of either a 120v or 240v configuration, combined with its compact height, the B5 is ideal for both indoor and outdoor installations. 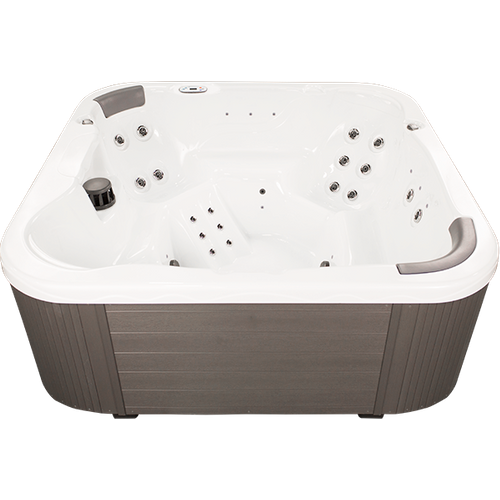 The ML8 features both a traditional lounge and a modified lounge, each with strategically positioned massage jets. With room to sit six comfortably, the ML8 can also make relaxation a social event. The MB7 offers just the right mix of jets and jet pumps for a mid-size frame. 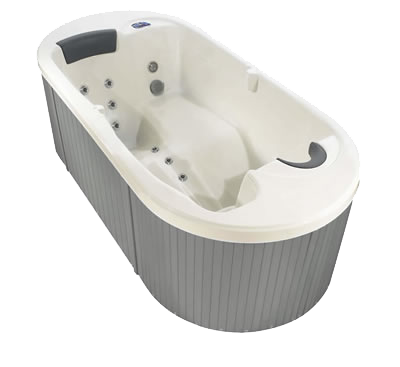 With a max capacity of 7 adults, each of it’s seating positions are designed to provide a unique hydrotherapeutic experience. In other words, the MB7 offers a multitude of ways to relax, no matter how many are in your party. The PT6 takes up a small amount of space, but includes a wide range of benefits. A neck and shoulder collar, upright lounge, and cascading waterfall are just a few features included in this premium corner unit. 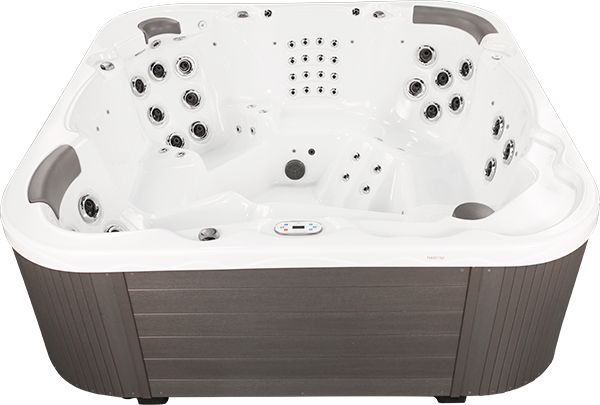 With two neck and shoulder therapy collars, full body hydrotherapy jets, and Barefoot’s exclusive Volcano Dome, the PB8 is the quintessential 7-person luxury spa. It also comes standard with three jet pumps, dual filtration, and a seemingly endless list of other features. 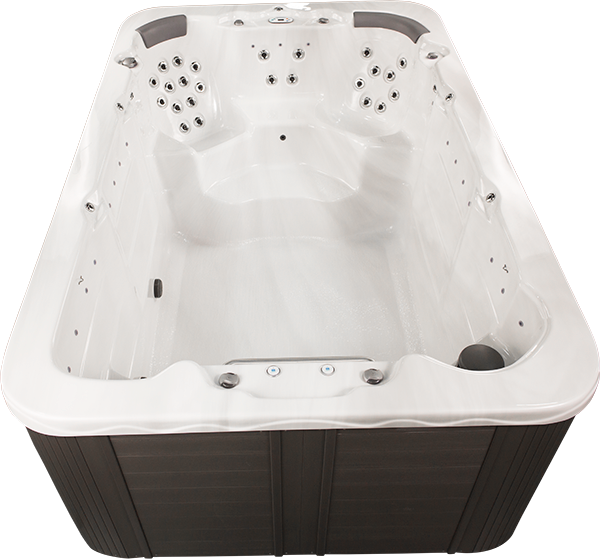 The PB7 offers hydrotherapy jets, two pumps, dual therapy collars, and a modified lounge seat all in a mid-sized frame. 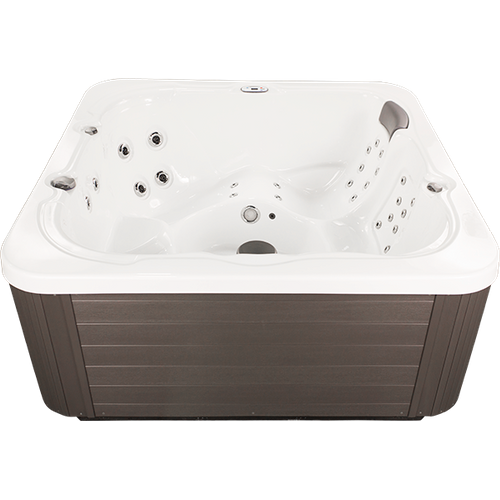 As a 6-person hot tub, it’s distinct seating positions are designed to provide a unique hydro-therapeutic experience. 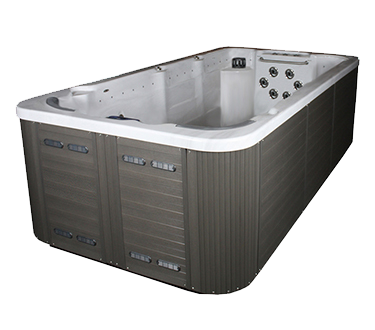 The PR5 is a perfect blend of comfort and originality built into a compact hot tub. 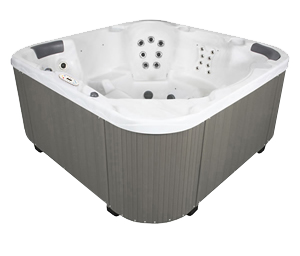 It is modest in size, yet abundant with features – a perfect match for those with smaller needs or with limited space. 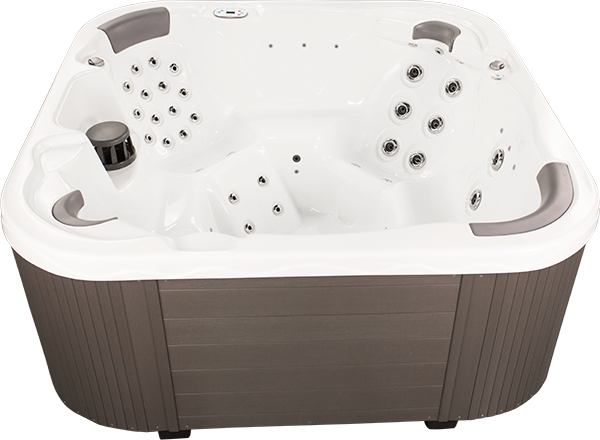 A two-way body lounge, hydrotherapy jets, and a neck and shoulder collar are just a few highlights of the PR5. 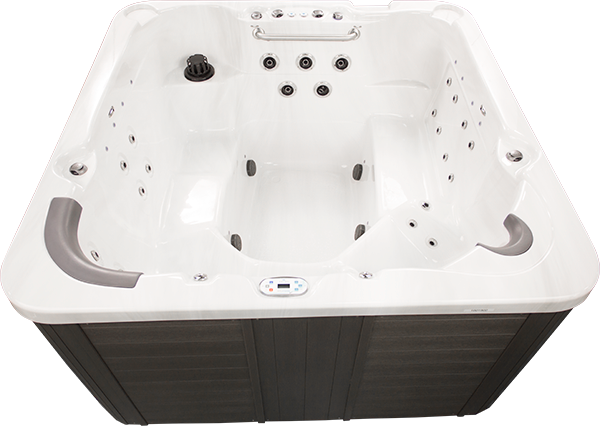 The PL8 is the most popular Barefoot Spas model. 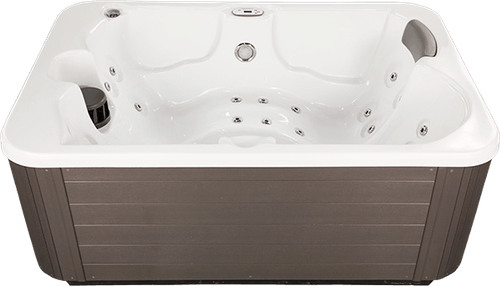 Handcrafted with precision, the PL8 offers the most advanced Barefoot Spas features and plenty of room to experience the complete benefits of a hydrotherapy spa. 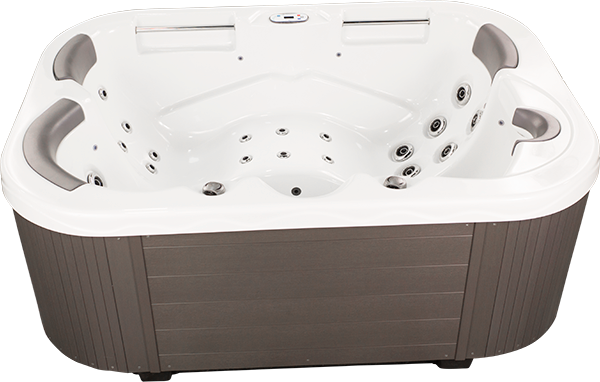 The PL7 from Barefoot Spas features our most advanced hydrotherapy systems and our exclusive Max Zone technology delivers 100% pressure in all zones from two, five horsepower pumps. 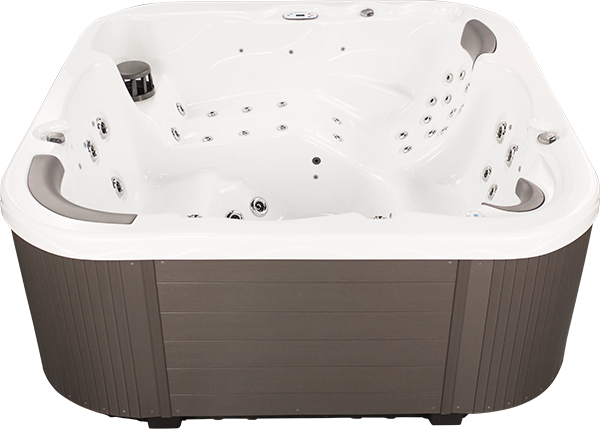 The PL7 features reverse molded neck jets, modified recliner with leg massage, a six-foot lounge and power massage seat. 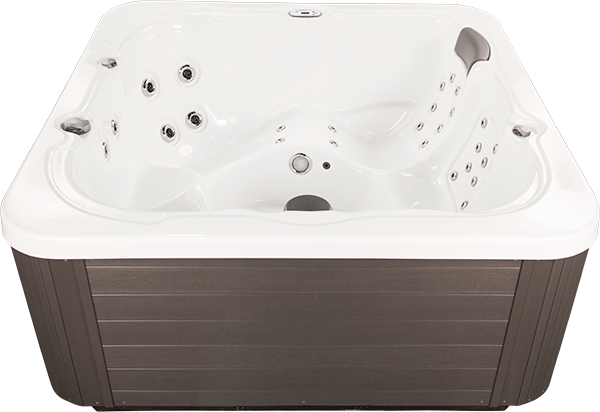 The Barefoot SS19 is two spas in one – it features a full size spa separate from the swim spa. This exercise swim spa is unique in that it is dual-temperature. 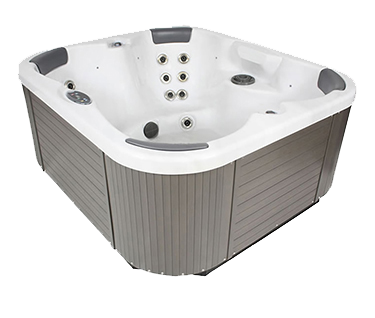 In other words, the hot tub end and the swimming spa end are two isolated bodies of water and can be maintained at different temperature. 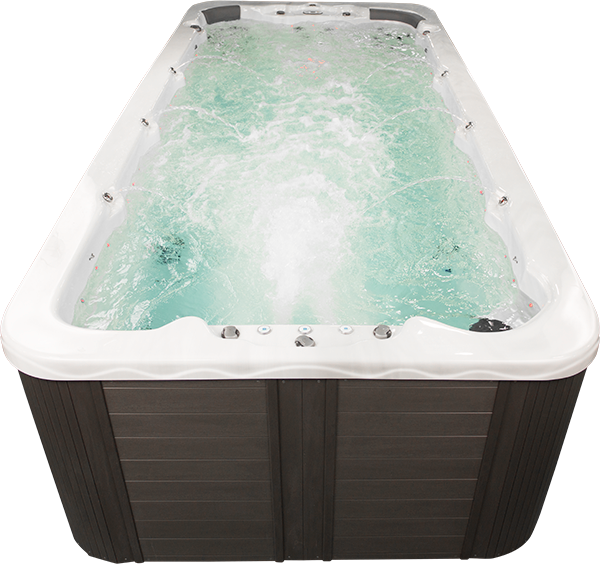 The Barefoot SS17 is a premium full-sized home swim spa. 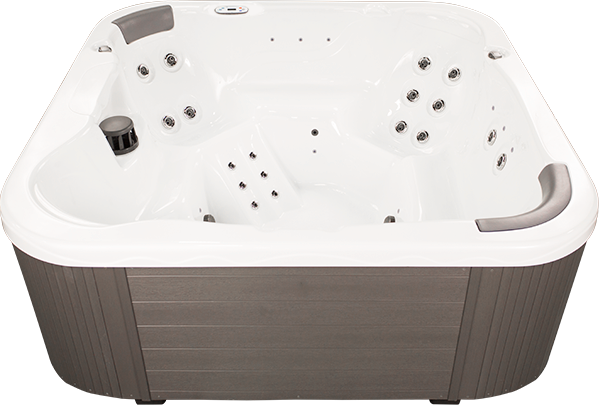 With space to accommodate any person and any swim stroke, the SS17 can help you reach the pinnacle of aquatic exercise. 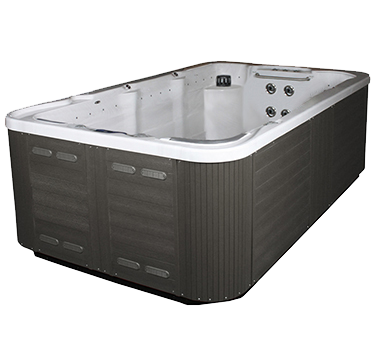 The Barefoot SS15 is a premium midsize home swim spa. Equipped with three adjustable river jets, the SS15 has enough power to fuel any cardio workout routine. 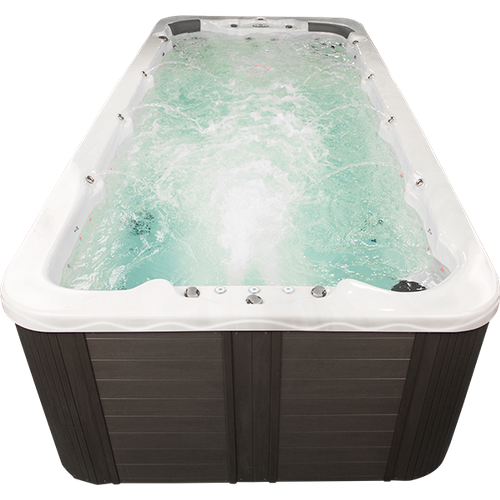 The Barefoot SS13 is a powerful, yet compact exercise swimming spa. 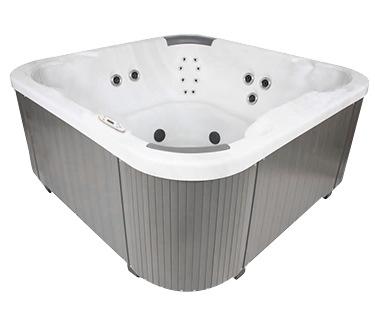 It combines the hydrotherapeutic benefits of a traditional spa with the muscular and cardiovascular benefits of a swim spa, all in just under 13 feet of space. The Barefoot SS12 is a premium small-size home swim spa. Now you can go for a swim, do rows, jog in place, and then relax – all without ever getting out of the spa! 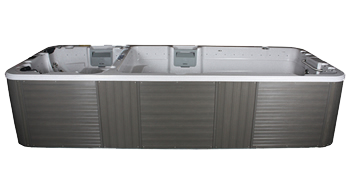 The Barefoot FS8 is a compact exercise swim Spa. With this system, you can enjoy the benefits of low impact aquatic exercises, and water aerobics, all in an 8×8 frame.